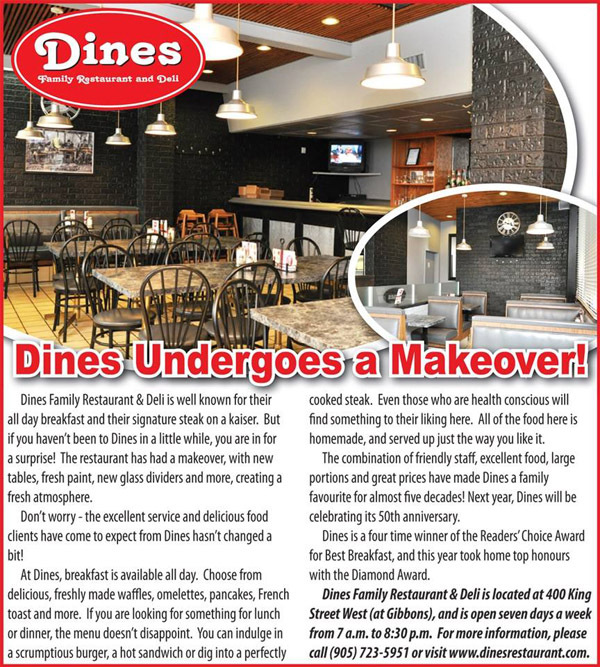 Dines Restaurant opened for business in 1964 and continues to be an important part of Oshawa’s history. We have expanded over the years to accommodate our ever growing clientele. The reason for our success is due to the large portions of quality homemade food served by our friendly & attentive staff. 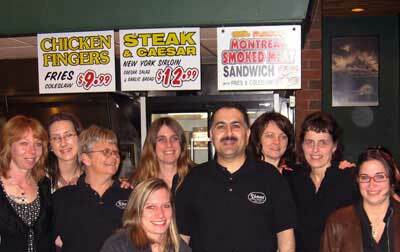 Dines Restaurant has been proudly serving Durham Region homemade breakfast, lunch and dinner for over 45 years. We are best known for our All Day Breakfast & Home of the Steak on a Kaiser. Whether its breakfast, lunch or dinner, come in today and try one of our many specials. Dines Restaurant is open seven days a week from 7am to 8:00pm. Book your reservation for your next party or if you a celebrating a special occasion. We accept Debit, Visa, Mastercard, Amex.